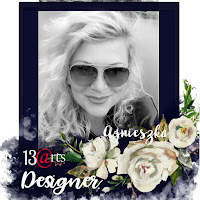 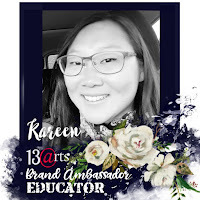 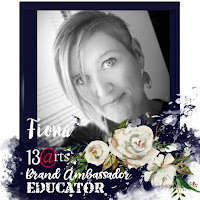 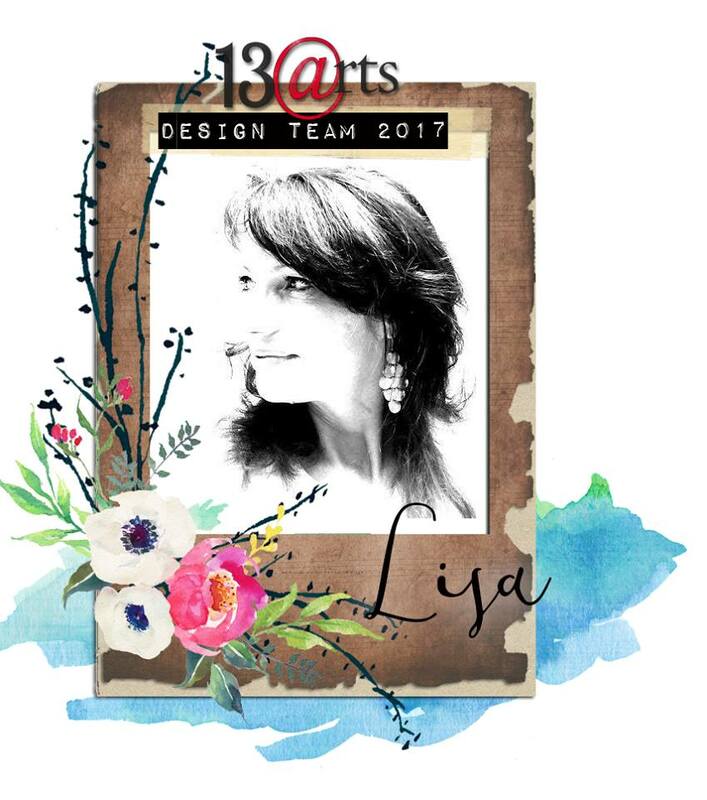 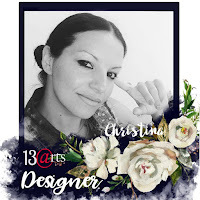 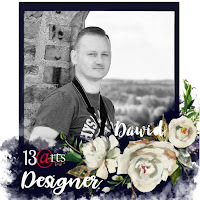 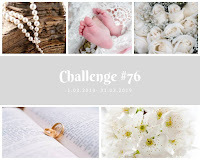 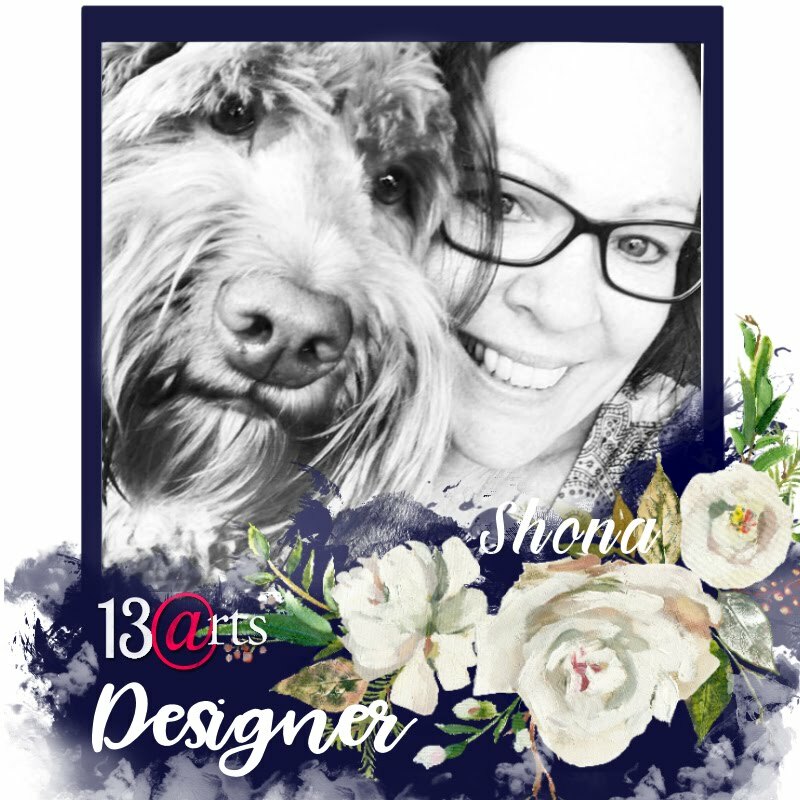 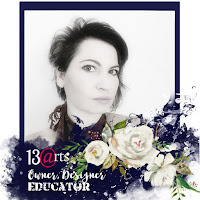 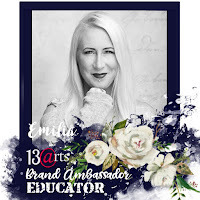 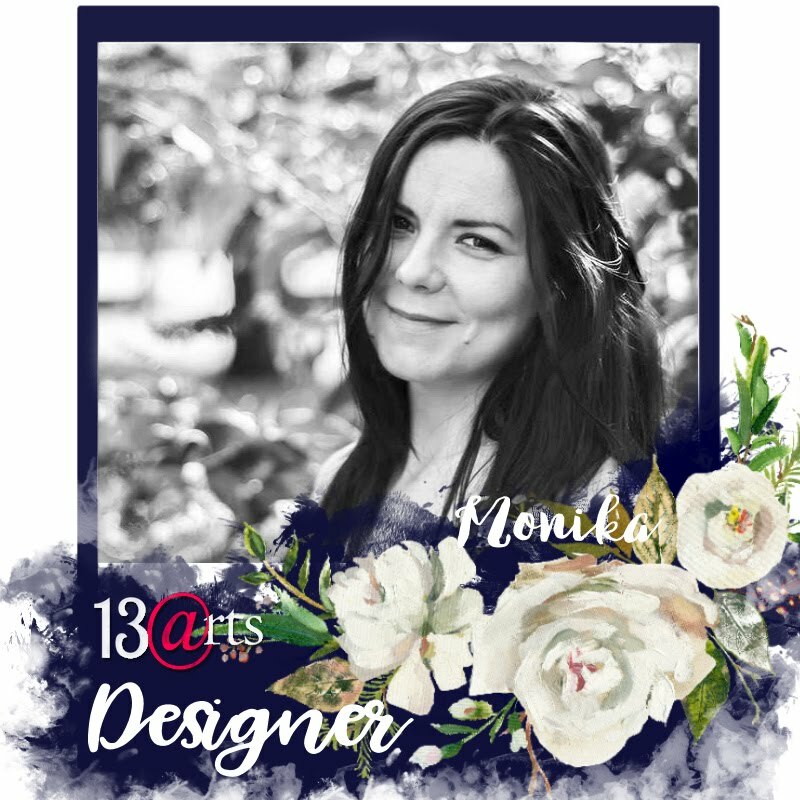 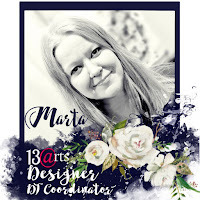 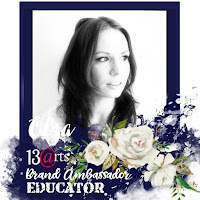 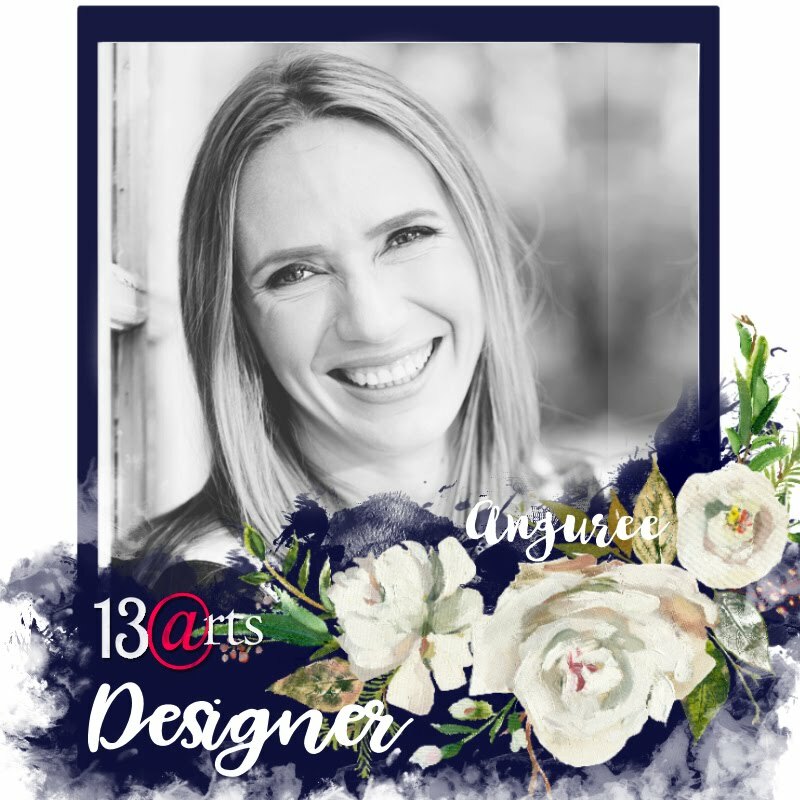 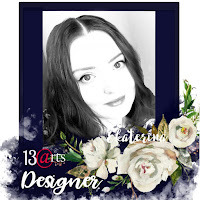 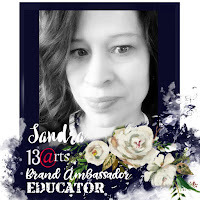 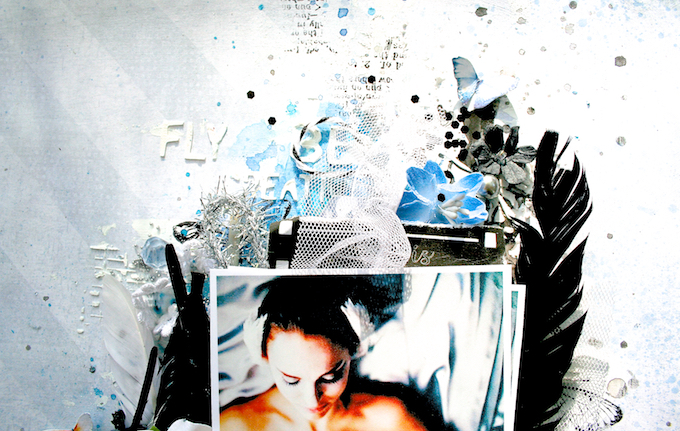 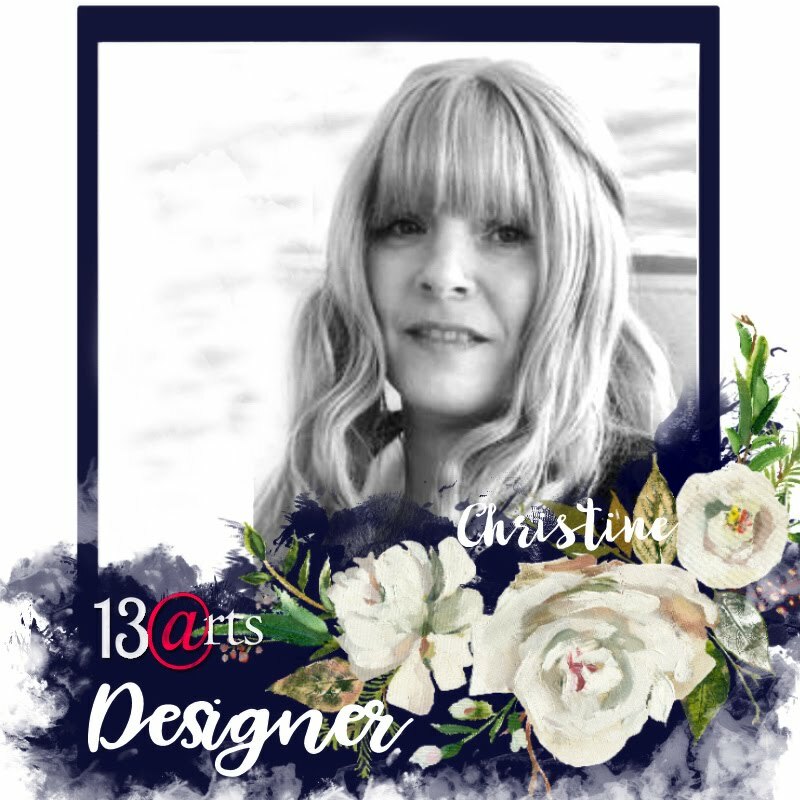 I have a layout to share with you today created with lots of 13 arts mediums. 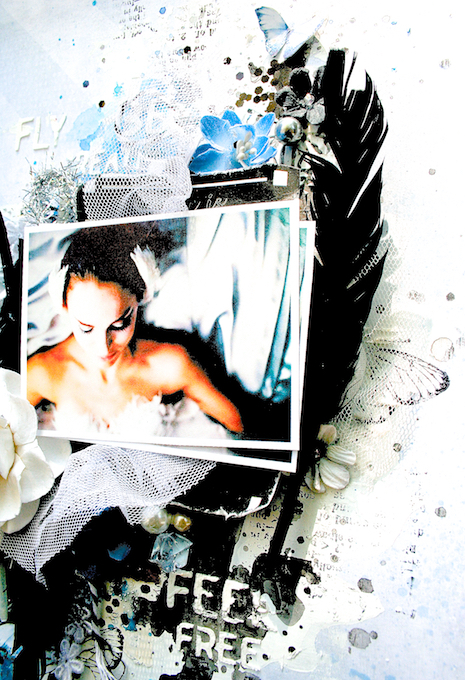 I used a paper called 'Blue Light' from the 'Color Basic' collection designed by Olga. 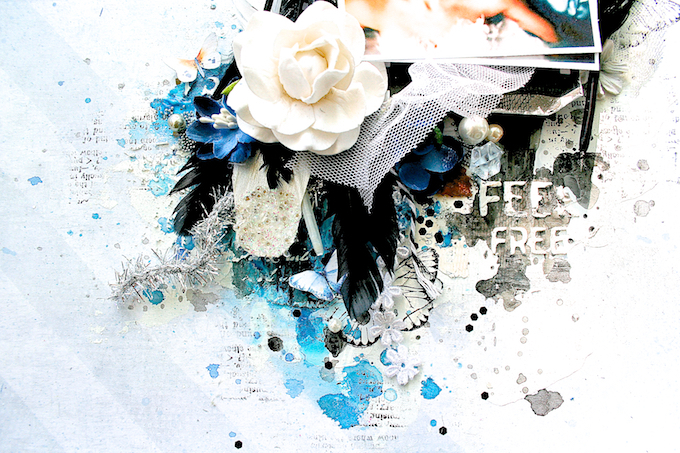 in 'Pastel Cobalt' and 'Pastel Black'. 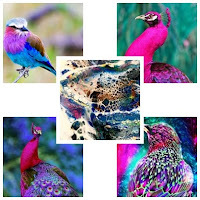 Just exquisite! 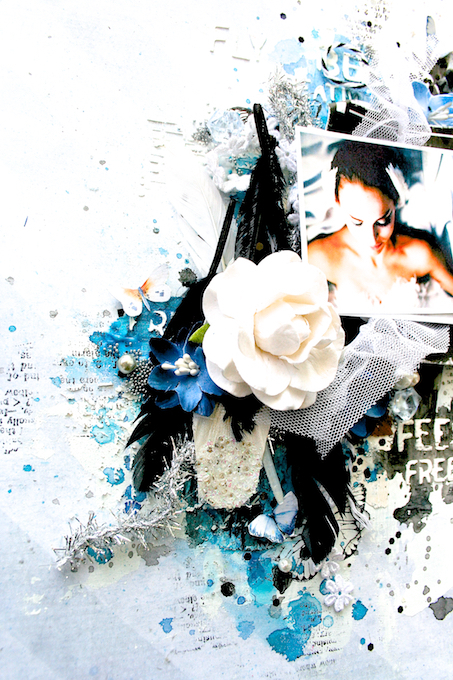 Love the addition of the black feathers.